Mod The Sims - Vet-Hire Who Ever! This will NOT give you Cats or Dogs or both or a Vet employee. 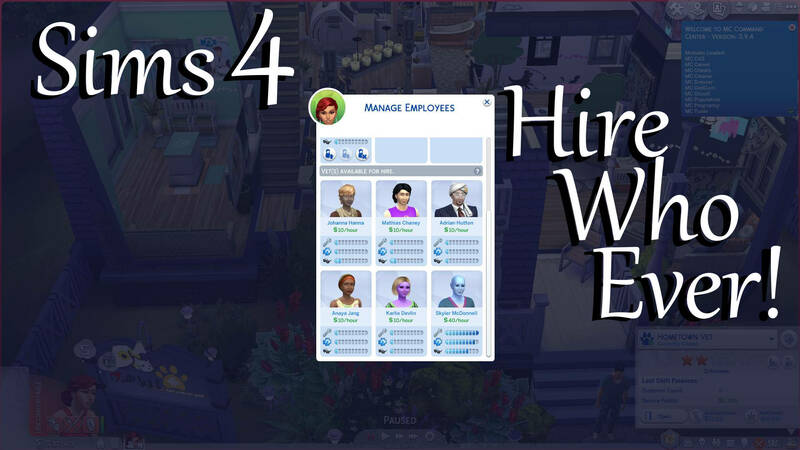 I've been asked if I could make it so this mod allowed household sims to be hired as well. There really is no point in doing that when they already can work there. I added a picture showing 2 vets working, they are both from the active household along with a small pic that shows there are no other employees hired. Patch Update: New traits were added for the upcoming Jungle Adventure Pack. These are not required for the mod to work but I put them in for those who choose to buy the pack. I want to give out a special Thank You! to Scumbumbo! Scumbumbo and I were talking one day about this mod and came up with a few theories on how to get more sims into the hire list. 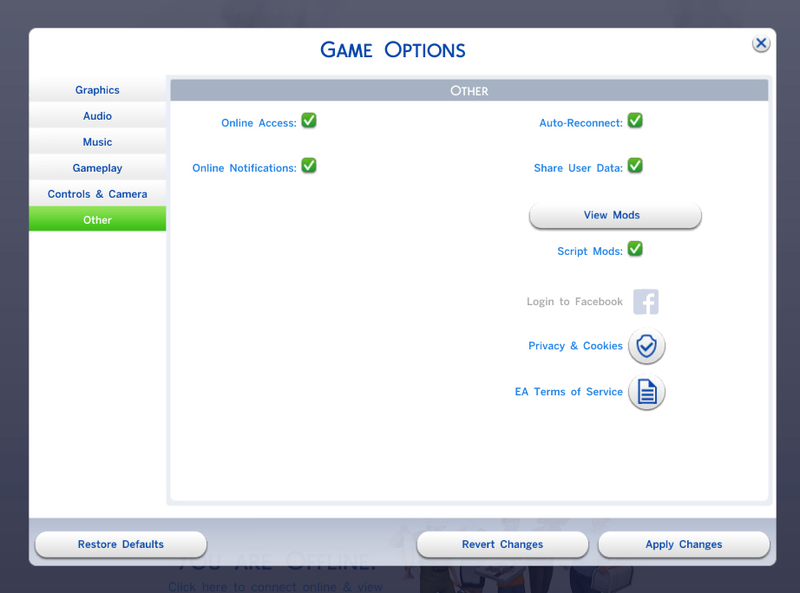 So I went in and tested some of our theories, all you have to do is add this mod, and make the sims you want unemployed. Then they will show up in the list to be hired. 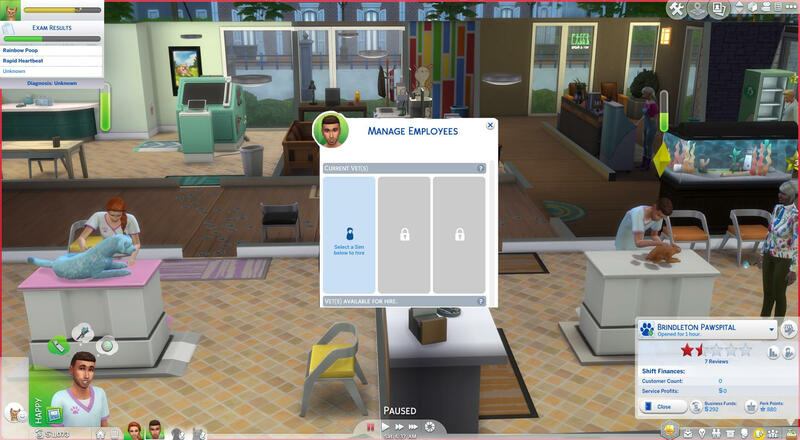 This mod will allow you to hire employees regardless of their skill level. Before all you could hire were ones with lower skills some of them no higher than 2. Why did I create this mod? My sim spend a lot of time and a lot of money training and raising her employees skill levels. She decided to sell that business and open up a smaller clinic. Wanted to rehire the ones I already had but they were not available for hire because their skills were to high. Now with this my sim doesn't have to start over with the training of the employees. Any mod that uses the same XML file WILL CONFLICT!